1. 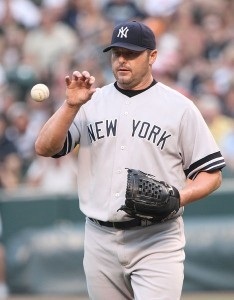 William Roger Clemens: Clemens was a former American Major League Baseball pitcher who had been accused of using performance enhancing drugs. Lying under oath, Clemens claimed he had never taken any steroids, never discussed talking about taking Human Growth Hormones, and never attended a party hosted by Jose Canseco, another former MLB player who used performance enhancing drugs. Clemens was tried for six charges, including perjury, and his case ended with a hung jury. He would later be tried again, but in this trial, he was found not guilty, and was acquitted in spite of overwhelming evidence against him. Many believe jurors decided to nullify Clemens' case since they believed it was a waste of time and money for the government to pursue charges against a former athlete accused of lying about using performance enhancing drugs at a time when use was common among athletes. 2. 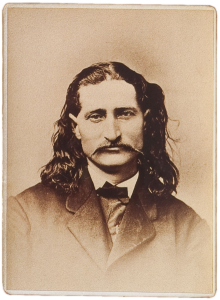 Wild Bill Hickok: James Hickok, better known as Wild Bill Hickok, was accused of the murder of the cowboy Davis Tutt in the second degree. The two had a disagreement, which resulted in a gunfight in the town square of Springfield, Missouri, during which Wild Bill shot and killed Tutt. Hickok would have been found guilty if the outcome of the case was driven on facts alone, but was acquitted of his crimes thanks to jury nullification and the unwritten law of a fair fight. 3. 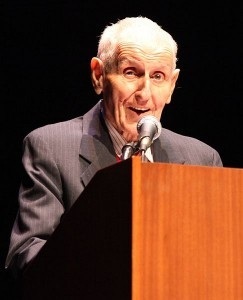 Dr. Jack Kevorkian: Dr. Jack Kevorkian was accused of murdering dozens of people, all wanting to die. Kevorkian is what is known as a mercy doctor, lethally injecting patients who have expressed their wish to pass on. Euthanasia is not legal, so Kevorkian was charged with all of his patients' murders. A Michigan jury acquitted Dr. Kevorkian, even though he admitted killing his patients, exercising their right of jury nullification. 4. Ed Forchion: Ed Forchion, aka the New Jersey Weedman, is an advocate for the legalization of marijuana and jury nullification. Mr. Forchion has been arrested numerous times for his use of marijuana. Forchion suffers from a form of bone cancer, and instead of taking pain medication, he uses medical marijuana. A native to New Jersey, where medical marijuana is not legal, Forchion was arrested for possession of and intent to distribute marijuana. Acting as his own attorney, Forchion presented his case so that the jurors understood and sympathized with his side of the story. He also informed them of their right to acquit him of the charges based on the principle of jury nullification, which the jury did. Forchion is currently again under arrest for marijuana related charges, but is allowed to travel to California for ten days every month where he receives his medical marijuana treatment. He still advocates for both marijuana legalization and jury nullification. "Famous Cases of Jury Nullification". Famous 101.com, n.p. 4 March 2013. Web. 27 January 2014. "Famous Cases of Jury Nullification". Famous 101.com, n.p. 4 March 2013. Web. 25 January 2014. Weissmueller, Zach. "Jury Nullification vs. The Drug War: NJ Weedman on His Unlikely Marijuana Acquittal". Reason.com, n.p., 4 September 2013. Web. 25 January 2014.